TheMetalBikini.com- X-Wing Miniatures and more: It's Official, I'm Old. Yup, so I turn 40 (ugh) today around 5pm Central time. 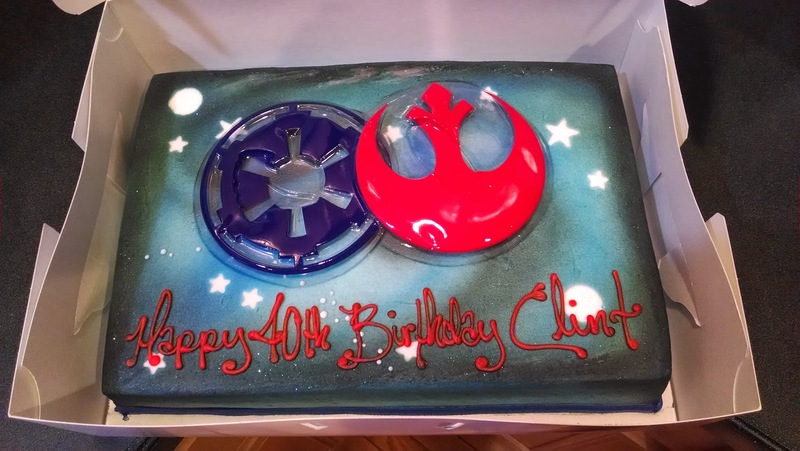 On the bright side, the wife got me this sweet (literally and figuratively) cake for the occasion. 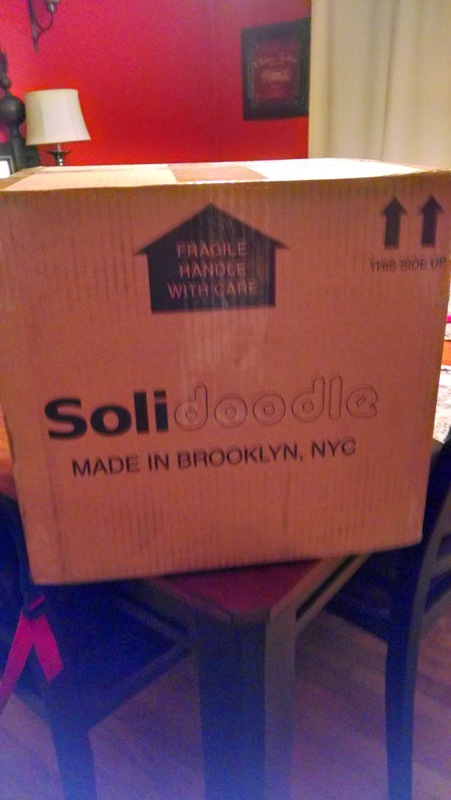 Would have LOVED to been able to ask for Imperial Aces or one of the big ships for my birthday, but instead settled on a Solidoodle 2 Pro. Those of y'all who follow me on G+ likely already saw me freaking out about this as it arrived in the mail this past Tuesday. I've been printing out random whatnots ever since. 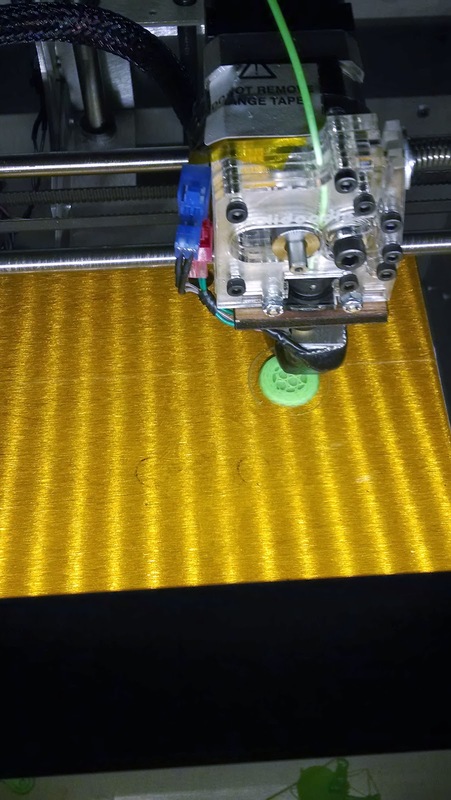 So far, 3d printing is both easier and harder than I thought it would be. I haven't had to fight the software or hardware nearly as much as I thought I would, but all the tweaking of temperatures and feed rates and stuff is still somewhat elusive to me. It's fun to mess around with though for sure, and yeah, I have a couple of "space combat gaming aids" shall we say, dreamed up I hope to start hawking on here in the relatively near future. In short, can't say enough good things about the printer itself- I had it up and running within about 30 minutes of opening the box, but it'll be awhile before I feel like I truly get the hang of printing out even stock items from the internet, let alone my own creations.